Since my childhood - when I started reading books like Kidnapped, Treasure Island, Swiss Family Robinson, Robinson Crusoe, and my all time fave Gallows on the Sand by Morris West - I've always been drawn to the idea of being marooned in a desert island. I would imagine myself living off the land and fighting pirates for survival, then finding a cache of treasure somewhere - typical boys stuff. 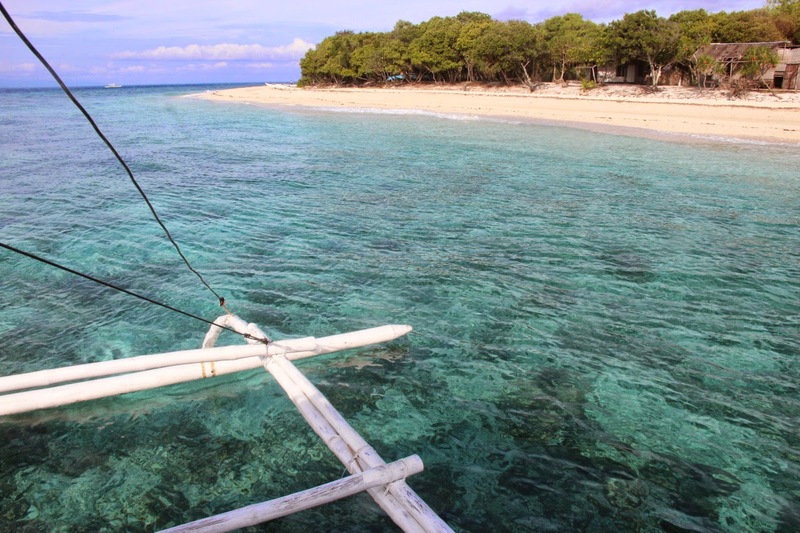 Balicasag Island is not a desert island by definition, since it has local residents numbering several tens of families. The island though, comes close to what kind of desert island I imagine myself to be marooned in. Our trip to Balicasag began early in the morning, immediately after going to the part of the Bohol Sea to see the dolphins. The boat ride didn't take that long, about less than an hour. 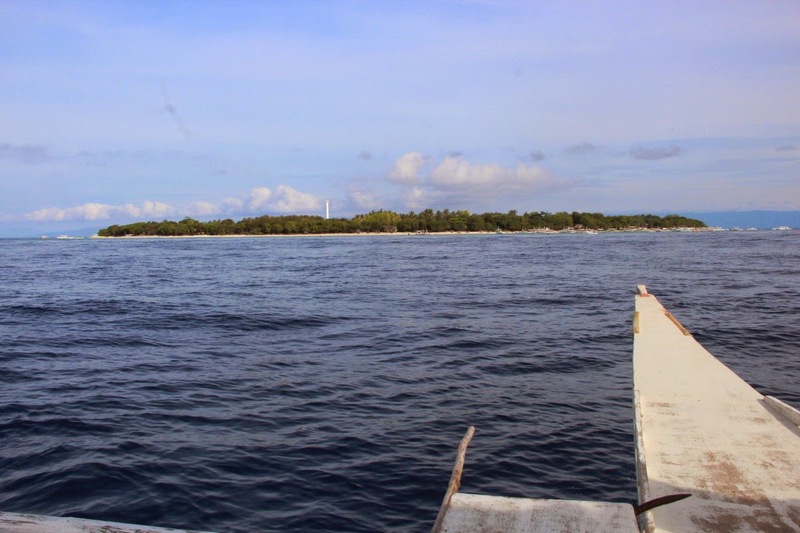 As we approach I could see the lighthouse and the clusters of mangroves and huts built along the white-sand beach that encircle the round-shaped island. As we get closer the waters began changing from deep blue to lighter shades of cerulean, crystal clear that you can see the reefs at the bottom. The tide wasn't that high when we docked, so there are even tidal pools on the beach. I tested my phone's Google Camera app to take panoramic shots of the island before I got off, marveling at the pristine waters that surround me while trying to balance on the rocking boat. The boatman told us that there are assigned areas on the island where boats can dock. Outside of these areas are protected marine sites that are sanctuaries for fishes and other marine life, several of which are also scuba dive sites. 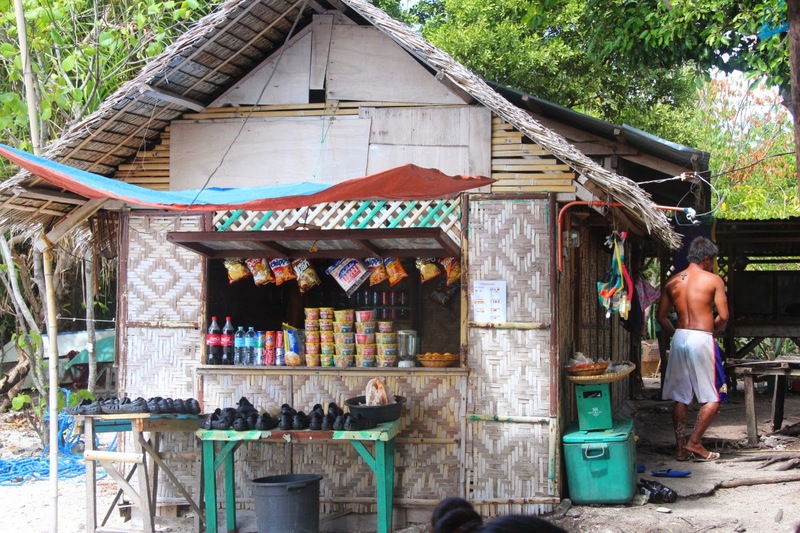 Like I mentioned Balicasag is not a desert island, since it has residents, numbering in tens of families. Their community is located at the middle of the island, which also hosts a detachment of the Coast Guard. Some of the boatmen came from the island too. After docking we went to one of the thatch-roofed huts to rest. There's a sari-sari (variety) store beside it selling goods like soft drinks and chips, handy if you get marooned in the island. Another stall sells home-cooked food to visitors. 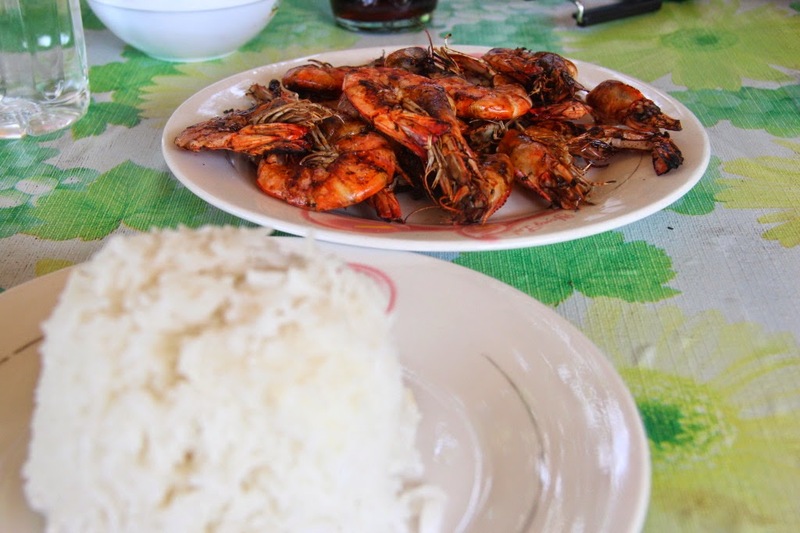 I ordered breakfast from the cook - a serving of halabos na hipon (steamed shrimps or prawns cooked on its juices and sometimes with garlic and Sprite), and rice. Arvy just had a serving of ripe mangoes. Several other boats bringing visitors to the island also docked while we were having breakfast. Our boatman took the time to mingle and rest, while we went to the beach to explore it. After a while I went back to the huts, and hired another boatman, to bring me around the island. I also rented snorkeling gear. I was debating whether I am going to bring a camera, but decided not to when I saw that the banca we are taking is just big enough to carry two passengers including the boatman (Arvy opted out, and remained in the hut). 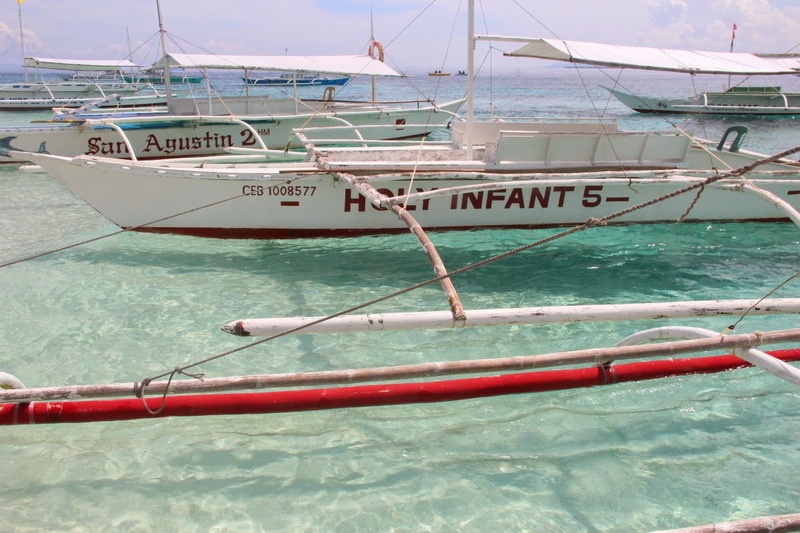 As we were going to the protected areas, only un-engined outrigger boats are allowed. The boatman, who works as a fisherman between ferrying visitors, started rowing as soon as I got in. We traded small talk, him mostly about his experiences during the 2013 earthquake that struck Bohol. We soon reached the protected marine area. I took off my shirt and donned the snorkel, easing into the water while balancing at the side of the wooden boat. The water was surprisingly cool, even if it was almost noon. When I dived into the water, I regretted that I did not bring any waterproof camera. The water was very clear that I can clearly see the wall and the corals clinging to it. Schools of fishes would linger in front of me then dart in another direction if I move. There were corals everywhere, although the boatman said earlier that some were damaged during the typhoon. I also noticed a number of small jellyfishes, which set off some alarms bells in my head (I'm allergic to their nematocysts, which gives me itchy welts that linger on my skin for weeks). I went back to the boat as soon as I felt the jellyfish stings on my forearms and legs, wishing that I should have brought my rashguard. Out of the water I just tried enjoying the view of the sea and the island, and observing other tourists floating in the water. On the nearby boat a gaggle of mainland Chinese tried boarding the boat at once, causing the boat to flip. That gave me a bit of a laugh. After a while I signaled to the boatman that I'm ready to go, and we paddled back, circling the island on the way. He took me to the area where giant clams are being bred, and we also passed by the Coast Guard detachment and the the only resort in the island. 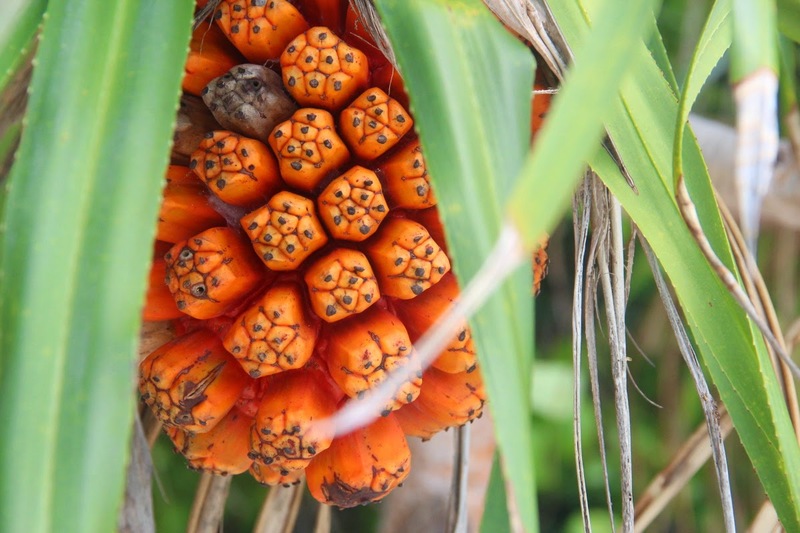 Along the way I noticed some palm-like trees with bright orange fruits, similar to the one I saw in Crystal Cove in Boracay. Back in the hut, I rested for a bit before we proceed to our next destination that day - the Virgin Island sandbar. I also asked the lady manning the store for some vinegar, as treatment for my jellyfish stings. Jellyfishes will probably be the bane of my existence if ever I'll be marooned in an island. 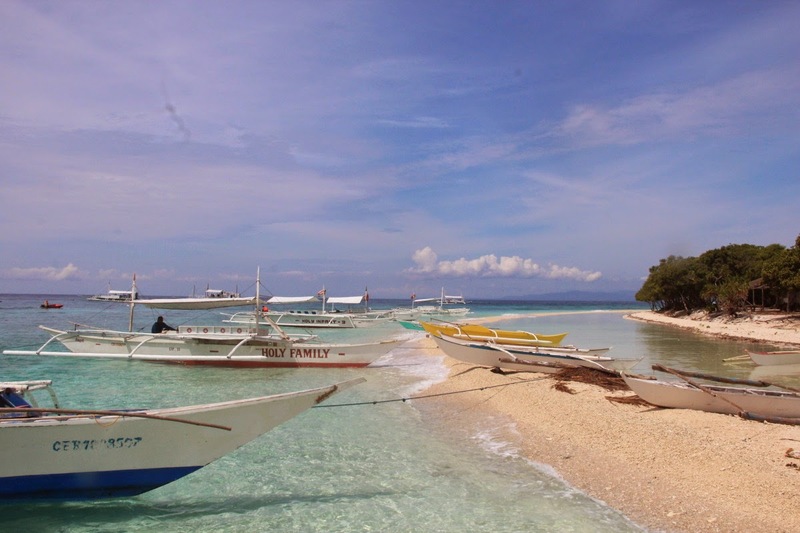 Balicasag is located just off the coast of Panglao Island, in the north Bohol Sea. 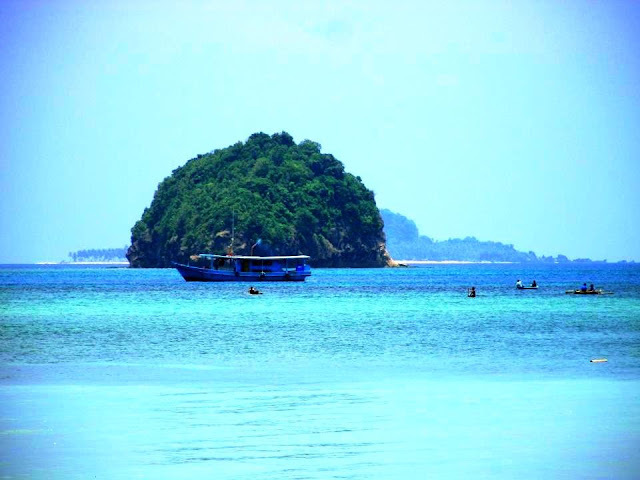 It is accessible by bancas that you can rent from mainland, with the trip taking about less than an hour. 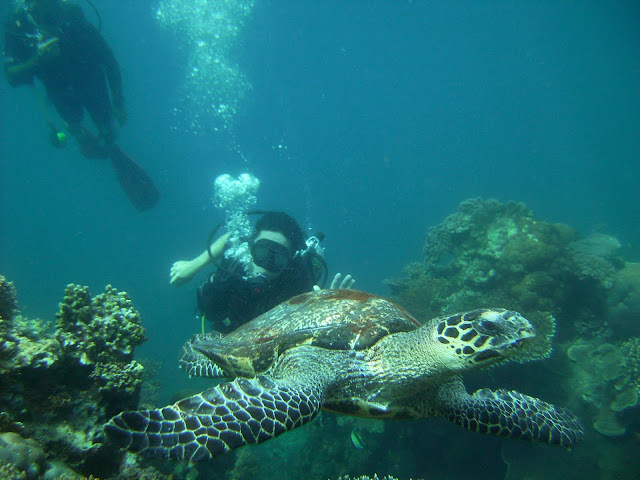 My diver friends here in ZC are raring to go diving there in Balicasag Island! It does look like Paradise! It is, and it's highly recommended!